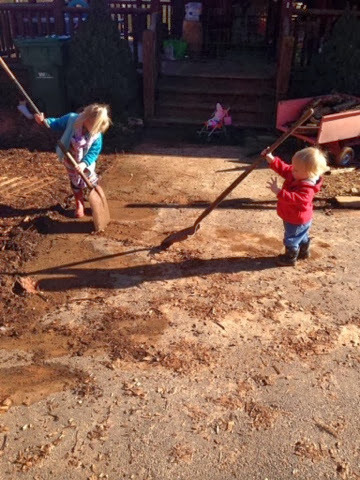 In the never ending battle against mud, little workers stay busy. 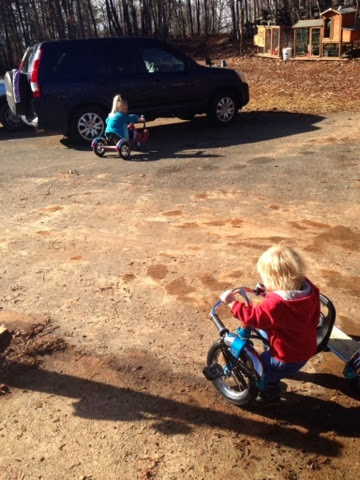 Here you see them trying to clear some mud off the driveway so they can ride their bikes. 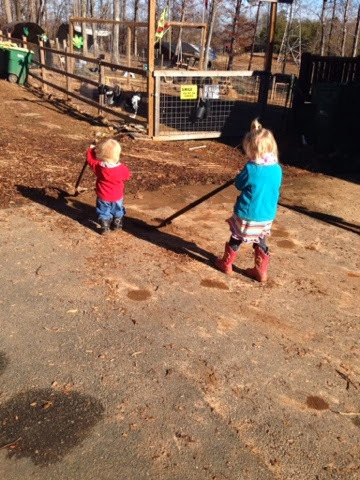 They are hard workers!